We are very excited to introduce our newest Joule Thief kit. 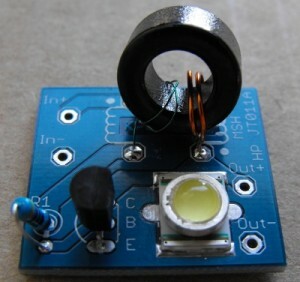 This kit is a higher power Joule Thief kit that includes a Cree 50 Lumen XLamp 1 Watt white LED. See our energy harvesting product section to purchase this kit . You can also purchase these Cree XLamp XL LEDs as an individual unit by going to our components section. Recover the last bit of energy from a “dead” alkaline battery. When your modern electronics gadget turns off because the alkaline batteries are “dead” it just means the voltage in the batteries has dropped below a usable level for that gadget, which depending on the electronics that voltage could be around 0.9 VDC to 1.2VDC per cell. 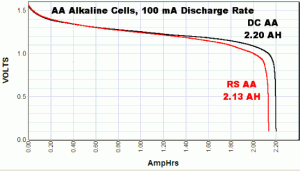 I found this nice graph on http://www.powerstream.com/AA-tests.htm that shows the discharge curve for alkaline batteries. You can see that when the alkaline battery is below 0.9VDC there is not much usable energy left, but if there is 1.2VDC left in the battery there is about 28% of the energy left in the battery. So what can I do with this “dead” alkaline battery? 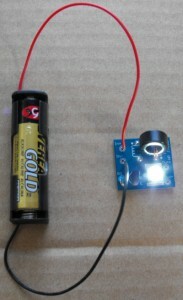 I can use a Joule Thief to make a battery charger that depletes the remaining energy from the alkaline battery and recharges a NiMh battery. 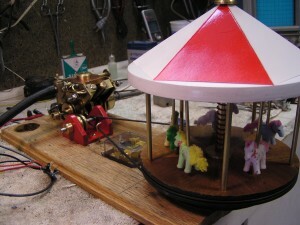 I am in the process of building a battery charger this week and will put data about this project as I charge batteries. 1) This probably is not the most efficient way to recover the energy, but hey it is quick, cheap, and easy to do. The batteries were going to the trash so I might as well try to recover the lost energy from them. 2) The LED in the schematic probably uses half of the energy that would be recovered, but it is the only good way to see if the circuit is still running. You could also modify the circuit and charge up to 4 NiMh batteries in series (of course this will reduce the charge current, since the boost voltage has to increase). 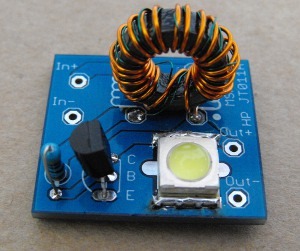 If you use a white LED the circuit can be used as a night light, but the white LED (3.5V forward voltage) will consume about 79% of the energy when you are charging one NiMh Cell. If you charge four NiMh batteries in series the white LED will consume about 41% of the charging energy, the LED will be dimmer since the current will drop. If you use a standard red LED (1.7V forward voltage) the LED will consume about 57% of the charge energy when you charge one NiMh cell, with four series NiMh cells the red LED will consume about 25% of the charge energy. 3) This circuit, if built properly, will run the alkaline battery down to 350-400mV which will truly make it a dead battery. 5) It can take several “dead” alkaline batteries to recharge a 1500mAH NiMh battery, before I experiment I am going to estimate that it will be somewhere between 6-15 batteries. 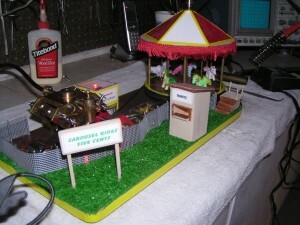 Update: I built the circuit to charge 4 batteries in series. The battery charger circuit was working great for several days until the charged batteries got up to around 5.4v then they started to discharge. I was really perplexed for a while as to why this was happening. I finally figured out what went wrong, the LED reverse breakdown voltage was somewhere around 5.4V and it ended up destroying the LED and discharging the NiMh batteries. 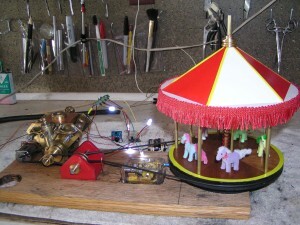 I have a new circuit design that will be more efficient and will charge the batteries quicker. 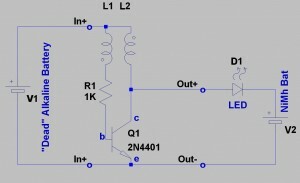 I have ordered parts for the new higher power joule thief circuit. 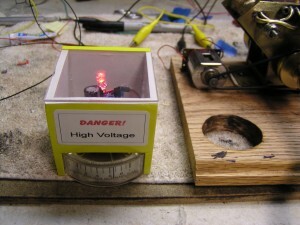 I will build some and try them out, if they work out well I will add them as a new high power joule thief kit.